Teleradiology and teleradiology software are a giant leap forward for modern medicine as physicians are able to see the results of tests without being in the same location as the patient. This is a boon to health care as it enables patients in remote areas to receive the benefit of having specialists hundreds or even thousands of miles away see their tests such as MRIs, X-rays, and CTs. Medical specialists tend to be in large, metropolitan areas and their practices open during standard day time business hours only. With teleradiology, these specialists may be consulted 24/7, even weekends and holidays if need be. There are various methods of transmitting teleradiology, such as the internet, cloud computing, telephone lines, Local Area Networks and Wide Area Networks. To transmit these images requires specialized teleradiology software specifically designed for this purpose. 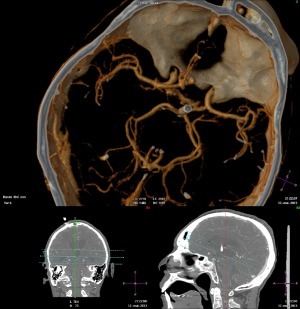 There may be advanced technologies used in teleradiology software, including voice recognition, image compression and advanced graphics processing. Teleradiology software incorporates PACS, or Picture Archiving and Communication System, as well as RIS, or Remote Installation Services. RIS is an installation technology---fully automated---that might be used to make installation images of operating systems or of entire computer configurations. This may include desktop computer settings along with applications. Using RIS, installation images are available to client computers. DICOM, which is Digital Imaging and Communications in Medicine is an industry standard and used for storing, handling, printing, and the transmission of medical information imaging. DICOM has a file format definition along with a network communications protocol. One of the basic types of teleradiology software is the viewer. There are many companies manufacturing and/or selling viewers for teleradiology. Some are fairly no frills, basic designs while others are quite complex and sophisticated. For example it is possible to get viewer software that allows technicians to post process data by using a standard computer and monitor, or with a more technologically advanced high resolution monitor. Multiple protocols for viewing such as those based on body part and modality may be used. Some software allows for the comparison of previous images with current images. Some software created for teleradiology will scan documents and digitize film. This software usually has HIPAA compliant encryption, which is a big factor in health care today. Some software for teleradiology is designed primarily for outpatient and ambulatory patients, while other types might be geared toward critical and acute care or even triage situations. Most come complete with dictation and voice recognition capabilities, too, which can be tremendously helpful to busy clinicians. Teleradiology software has expanded the boundaries of medicine and health care, making it possible for physicians and clinicians to be privy to tests on patients far away and provide expert opinions that would otherwise be unobtainable.